Husqvarna is recalling 31 walk-behind mowers sold in Canada. A short circuit could occur in the equipment electronics during use or storage of these lawnmowers. If the operator does not follow the operating instructions after an unsuccessful restart attempt, the short circuit in the motor control unit may result in increased electrical currents flowing into a nearby component. This poses a risk of the component to overheat or burn, or cause a potential fire. 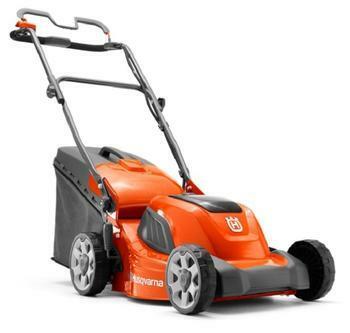 The mowers have an orange body with black accents; Husqvarna is written in white on the side. The white Husqvarna logo is located on the top of the orange motor cover. The model and serial numbers can be found on the label located on the mower deck shell, rear-right side near the discharge door. The mowers, manufactured in China, were sold from September 2017, to October 2018. Consumers should immediately stop using the recalled mowers and contact the place of purchase or their nearest Husqvarna dealer to arrange for a free repair. Consumers may contact Husqvarna toll-free at (877) 257-6921 from 8:00 a.m. – 6:00 p.m. (EST) Monday through Friday, by email at recalls@husqvarna.com, or online at https://www.husqvarna.com/ca-en/dealer-locator/.